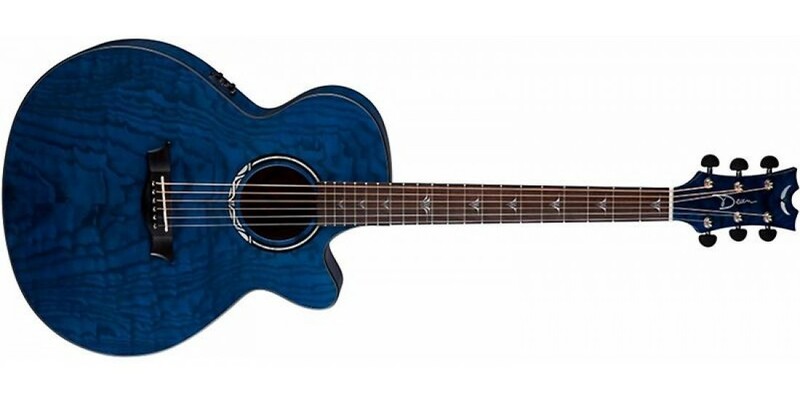 The Dean Performer Ultra Quilt Acoustic-Electric Guitar is a member of Dean's flagship acoustic series. 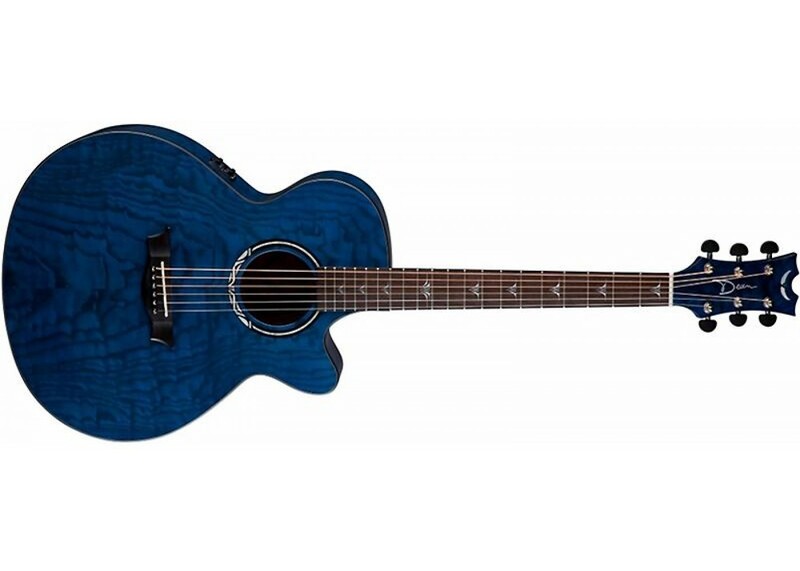 It features a quilt ash top and body for a rich, full acoustic sound. The mahogany slim neck has an easy playing "C" shape and features an ebony fingerboard, jumbo frets and a cutaway for smooth action from end to end. The onboard B-Band A3TY preamp offers 3-band EQ and a digital tuner to help you stay in tune, which wont be hard thanks to the Grover tuners which come standard.